Nearly 50% of professionals from the private sector are working remotely today. An activity formerly dedicated to self-employed freelancers has become democratized at the same time as the digital transition and the disappearance of workplaces in favor of virtual offices. Today, working physically from China on behalf of a company based in Turkey is possible and even privileged. 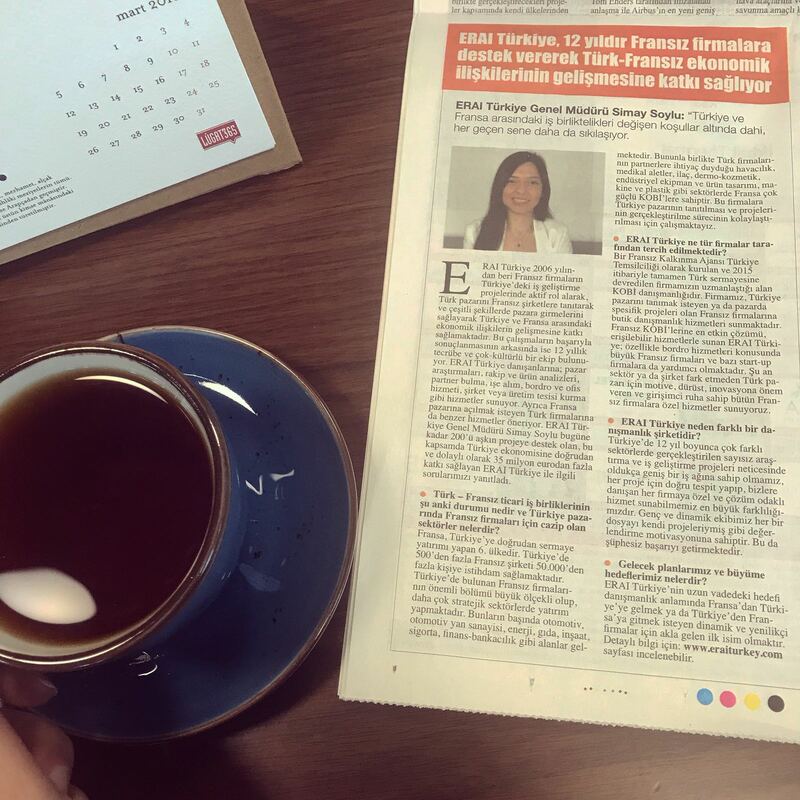 We will see in this article what the virtual office is, how this concept helps businesses to access success and how to take advantage of this service in Turkey. What does “Virtual Office” mean exactly? The virtual office allows small and medium-sized businesses that do not demand physical offices to outsource some of their needs. In fact, without their nomadic employees (commercial agents, for example) needing a fixed workspace, the service provider provides them with a prestigious virtual address, a telephone hotline, and a call redirection or call forwarding service. Thanks to these services, the company can receive letters and calls without renting official premises. In other words, the provider offering the virtual office service offers the company a physical identity at a lower cost. How does this service help businesses perform better? In addition to the low costs of the virtual office, the business retains the impression of a traditional, high-cost office and infrastructure. Employees can work from home, at their clients’ premises or in suburban offices, while maintaining the prestige reputation that the virtual address often offers in luxurious workplaces. In addition, the lack of bureaucracy and space also makes it possible to hire fewer staff (reception assistants, cleaning staff, etc.) as well as to make significant savings while concentrating all its assets on the productivity of nomadic employees. As a result, revenues are better redistributed, and the company focuses on its business and development only. What types of businesses can benefit from virtual office service? Companies expanding into new countries and regularly sending employees there. Companies that need a receptionist or a standard but do not want to take any risks, expenses and hassle of hiring an employee etc. 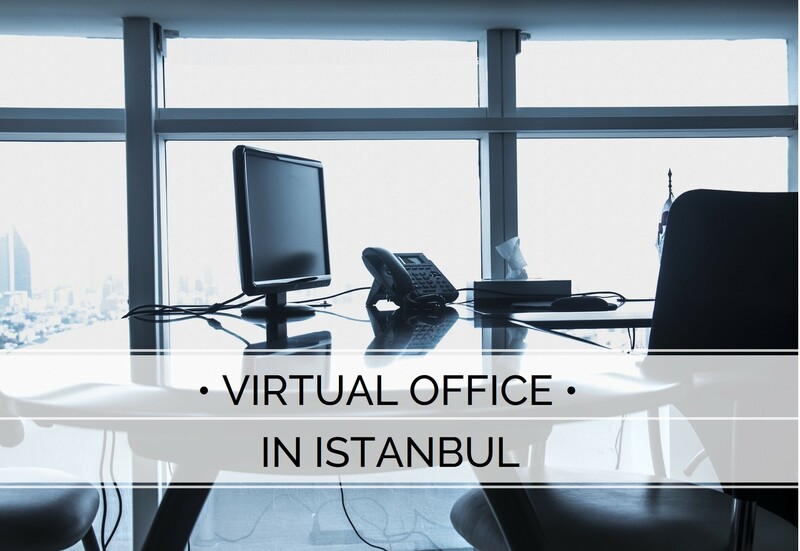 How to benefit from the virtual office service in Turkey, Istanbul? ERAI Turkey has been providing virtual office services for more than 10 years and has already hosted more than 100 companies from a wide variety of sectors. To benefit from this service and access the services of virtual office professionals in Istanbul, in a prestigious plaza in the business district of the Asian side, do not hesitate to make a simple request via the contact form. For more information on virtual office service in Istanbul, visit the ERAI Turkey service page. ERAI Turkey celebrates its 12th year in consulting at the service of companies around the world! The company ERAI Turkey is proud to celebrate its 12 years of activities this year with a team of 9 people as well as 22 people working for partner companies, hosted in the premises of ERAI Turkey. Indeed, the company was created in 2006 as a subsidiary of ERAI France in Turkey, in Istanbul. Since then, more than 200 companies have trusted the ERAI Turkey team to guide them into the Turkish market, more than 30 people have been hired and nearly 25 companies have been hosted under the roof of the company. The core of the company’s activity is consulting and business development support service on the Turkish market with market research, feasibility studies, financial studies or potentiality studies, ERAI Turkey is proud to present you today its most beautiful case studies, the most successful development stories in Turkey supported by the company so far. It should be noted that each company requesting ERAI Turkey’s consultation has a problem specific to its project and its expectations. The role of ERAI Turkey is first and foremost to understand the stakes of the project to define a procedure to follow and to propose the best implementation option to its client. Thanks to its network of experts and professionals in many sectors as well as its expertise of more than 12 years, supported by many Turkish and French official institutions, ERAI Turkey is today the French/English-speaking leader of the consulting in Turkey. Here are 3 case studies of companies with very different issues and the evolution of their implementation with the support of the consulting service of ERAI Turkey team. CEGID is a leading provider of enterprise management solutions for retail and industry. In 2012, during its first steps in the Turkish market, CEGID contacted ERAI Turkey to conduct a feasibility study of its project and define a market entry strategy. ERAI Turkey has prepared a comprehensive report consisting of recent information on the relevant sector, general information on retail and industry, market intelligence, competitor’s analysis, distribution networks, price analysis as well as the testimonials of actors and users of the market. After finalizing the report, an implementation strategy was put in place and the search for value-added resellers (VAR) in retail and production was started. A total of 4 partners matching the criteria were found and presented to CEGID who interviewed each. Thanks to its retail value-added resellers (VAR), CEGID has obtained very large projects including very large retail chains as well as the billing system of the largest cosmetics company present in Turkey. Through its value-added resellers (VAR) in production, CEGID has become the official solution provider for OSTM (Defense and Aviation Cluster) member companies operating in the defense sector. Product localization has been successfully completed. This Japanese-French company, one of the largest bearing manufacturers in the world, has been consulting ERAI Turkey for almost 8 years. The company wanted to develop expansion strategies in the Turkish industrial market with the long-term objective of knowing the industrial sectors in Turkey and the best solution that would increase local sales and finalize a sustainable implementation. A large feasibility study explaining the promising sectors, the potential and how to succeed in Turkey has been drafted. Recruitment, hosting and management of the sales team to better manage distributors and key accounts in Turkey. Implementation has been finalized, the local team has been successfully set up, three highly qualified sales managers and a marketing manager on this team have been recruited by ERAI Turkey since 2012. PERNAT Industrie is a supplier of machining of high precision metal parts of any machinable material. A leading French automotive supplier! PERNAT Industrie contacted ERAI Turkey in 2006 to ask for advice on the strategy to adopt for its project to set up in Turkey. The strategy adopted would be that of creating a liaison office and subsequently a joint venture or the acquisition of a local company. As a result of these projects, ERAI Turkey supported the greenfield creation project and was present throughout the process of creating the local company PERNAT TURKIYE, both for wage-carrying and accounting, or looking for a production site and its activation. The company has made an investment of more than 2 million euros in the Organized Industrial Zone of Eskisehir. Every year, the company sees its turnover and its number of employees increase and provides local quality service to third-party automotive suppliers as well as in various other sectors (defense, etc.). We have dozens of other projects that we have successfully completed so far. We are confident in our expertise and guarantee success through tailor-made solutions always adapted to the specific circumstances. Do not hesitate to contact us if you are interested in our consulting service. Invest in Turkey in 2019? If we look at economic indicators such as the growth rate or the economic ranking of Turkey in the world rank, it is well positioned as it is in 19th place and intends to improve. 9 / Customs union with the European Union since 1996. To read the details of these points, click here. To contact ERAI Turkey and get an appointment, send an email to [email protected] or call us on +90 216 463 33 66. In 2017, Turkey has more than 87,000 foreign employees who go through a work permit application process with the Turkish administration. This number is increasing every year with a growth of more than 14% for the last 4 years. One of the reasons for the significant increase in recent years is notably the massive influx of Syrian citizens (this is about 20,970 applications for work permits in 2017). Around 5,000 to 6,000 work permit applications are from Europe, between 500 and 600 a year come from France. Although the Turkish administration is more efficient than that of a large number of European countries, it still has some shortcomings and is known to be quite slow with respect to the time required to issue permits, which can range up to 4 to 6 months for some cases. Procedures are also slower because massive demands from Syrians have significantly slowed internal systems. Our advice to avoid this prohibition of an organization like ERAI Turkey which is in direct contact with the administration and which issues the license in 2 months for the longest and 3 weeks for the fastest. A single person cannot apply for a work permit. The request must be made by a local company. The Turkish company has the right to hire 1 foreign employee for every 5 Turkish employees. For example, if the company has 25 Turkish employees, they can, therefore, employ 5 foreign employees. The capital of the company in question must be equal to or greater than 100,000 TL or its turnover must be equal to or greater than 800,000 TL or its exports must be equal to or greater than 250,000 $. If the employee is already in Turkey, he/she must have a 6-month residence permit and must be valid when the work permit application is made to the Ministry. If the foreign employee is in another country, his application should be addressed to the Turkish Consulate of the country in which he is located. All documents must be submitted to the Ministry of Labor and Social Security within 6 days after the employer’s work permit application. If the employee is declared as a senior manager, pilot, director, architect or engineer, his local salary must be at least 4 to 6.5 times higher than the Turkish minimum wage. See more details on salary restrictions here. To know the administrative procedure, do not hesitate to consult this link. 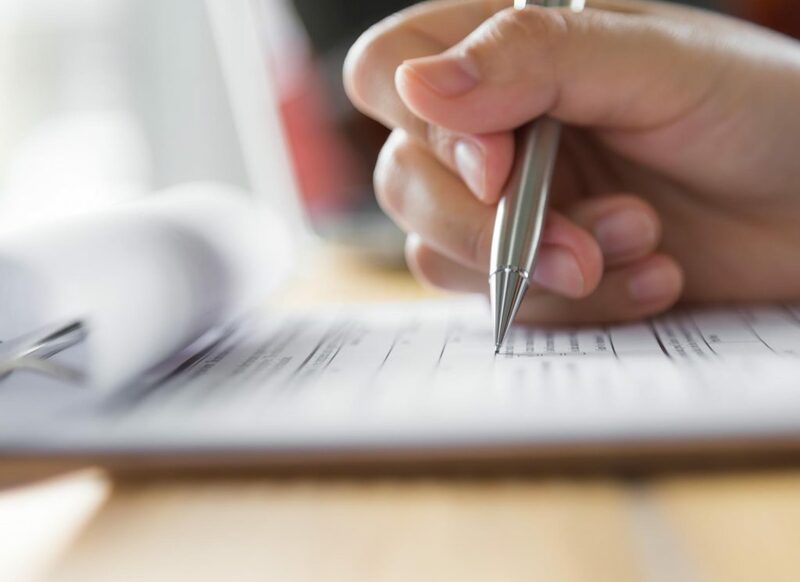 To receive our specialized advice on your permit application, send us a message by clicking here. To view other ERAI Turkey services, see the following page. Since 2006, ERAI Turkey has been actively involved in business development projects of French companies as well as introducing Turkish market to the them. ERAI Turkey has been contributing to the development of Turkish-French economical relations and behind this successful process; there is a multi-cultural team with 12 years of experience. ERAI Turkey offers market research, competitor and product analysis, partner research, hiring employees for companies, pay rolling and office service, setting up a company or a production facility etc. to its clients. ERAI Turkey provides the same services to Turkish companies who are interested in entering the French market. General Manager of ERAI Turkey, Simay Soylu, answered our questions about the company who contributed more than 35 million Euro to Turkish economy directly or indirectly with more than 200 projects within these years. What is the current situation of Turkish-French collaborations at the moment and which sectors are interesting for French companies in the Turkish market? France is the 6th country that makes direct capital investment to Turkey. More than 500 French companies provide more than 50.000 employments. Most of the French companies are large-scaled and they are making investments on important sectors such as automotive, automotive supply industry, energy, food, construction, insurance, banking-finance, etc. On the other hand, France has strong SMEs in aeronautics, medical instruments, medicine, dermo-cosmetics, industrial equipment and material design, machinery and plastics sectors which are needed by Turkish companies. We have been working to introduce Turkish market to those companies in order to actualize their projects and make the process easier. What kind of companies prefer ERAI Turkey? At first the company was set as French Development Agency Turkey Office and in 2015 the office was completely turned into a Turkish company. Our company’s specialty is SME consultancy. ERAI Turkey offers tailor-made services to the French companies who are willing to enter Turkish market with specific projects. Our company provides the most efficient solutions for the French SMEs and for the large-scaled companies or start-ups we offer especially recruitment and pay roll services. After so many years in this sector, we help and guide all types of French companies who are motivated, honest and innovative with an entrepreneurial spirit. Why is ERAI Turkey a different consultancy company? After 12 years and numerous research and business development projects in many different sectors; we have a wide business network and our most important difference is our to the point solutions for each and every project of our client companies. Our young and dynamic team has the motivation to evaluate all the cases as if their own. This leads to success undoubtly. What are your future plans and growth targets? In the long term, ERAI Turkey aims to be the first name that comes to minds of dynamic and innovator French companies who would like to come to Turkey or Turkish companies who would like to go to France. For detailed information please check www.eraiturkey.com. Article published on 2 March 2018 in the Turkish national newspaper Hürriyet, under the heading “France-Turkey Trade Exchanges”. ERAI TURKEY WELCOMES THE NEW YEAR WITH GIFTS! ERAI Turkey is in its new office! ERAI Turkey is expanding and moving this summer 2017!